The telecom giant has long wielded influence in business, political, sports, and cultural realms. 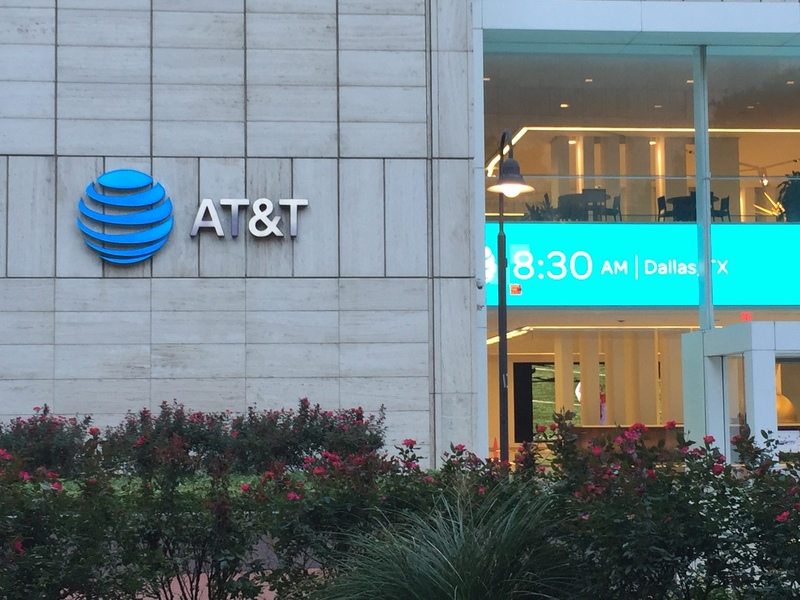 AT&T’s headquarters is located in downtown Dallas. Unlike Captain Renault in the movie “Casablanca,” is anyone truly shocked that AT&T quietly paid to Michael Cohen, the fixer for Donald Trump, hundreds of thousands of dollars last year to better “understand” the new president? Giant corporations have long been experts at determining which way society’s winds are blowing, shifting their positions to ride the wind, and then spending big bucks to ensure they get their way. Dallas’ telecom behemoth is no exception. During the 2016 presidential race, for example, an AT&T employee told me that AT&T CEO Randall Stephenson had made, or joined in chuckling at, an anti-Trump jest during a company meeting. (He was hardly alone, as many were scoffing at the reality TV star’s chances back then.) But, once the Republican won the presidency, the anti-Trump rhetoric went out the window, and the corporation quickly and successfully aligned itself with the new administration on issues like the tax overhaul, scoring $20 billion in savings for itself in the process. Of course, AT&T and their top executives have had lots of practice exerting themselves in multiple realms. For years, when the company ponied up to sponsor the prestigious Dallas Symphony Orchestra gala, it would arrange to have high-powered, well-connected, out-of-town politicos—like Greg Abbott and Joe Straus—parachute into Dallas to serve as the event’s “honorary chair” and network with local heavyweights. As D CEO reported back in 2013, the No. 1 reason the Byron Nelson golf tournament forsook the Four Seasons Resort and Club Dallas at Las Colinas for the brand-new Trinity Forest Golf Course in southern Dallas is because AT&T wanted it to. Similarly, pressure from the corporation is why the venerable Salesmanship Club of Dallas, which runs the Byron Nelson, recently began admitting women to its ranks. (It now boasts three.) And Stephenson, the national board chairman for the Boy Scouts organization, was said to be a prime force behind the Scouts’ move to start admitting openly gay participants as well as girls. If money talks and big money talks loudest, it will be interesting to see how AT&T’s proposed merger with Time Warner fares, once the judge rules on the antitrust case next month. As for its payments last year to Michael Cohen’s Essential Consulting firm, AT&T says Essential “was one of several firms we engaged in early 2017 to provide insights into understanding the new administration. They did no legal or lobbying work for us, and the contract ended in December 2017.” It’s just too bad a little of AT&T’s largesse to Trump’s personal attorney couldn’t have gone toward something a little closer to home—like, say, finally fixing those annoying robocalls I get every night, or the company’s notorious customer-service problems. Right, Dave Lieber?